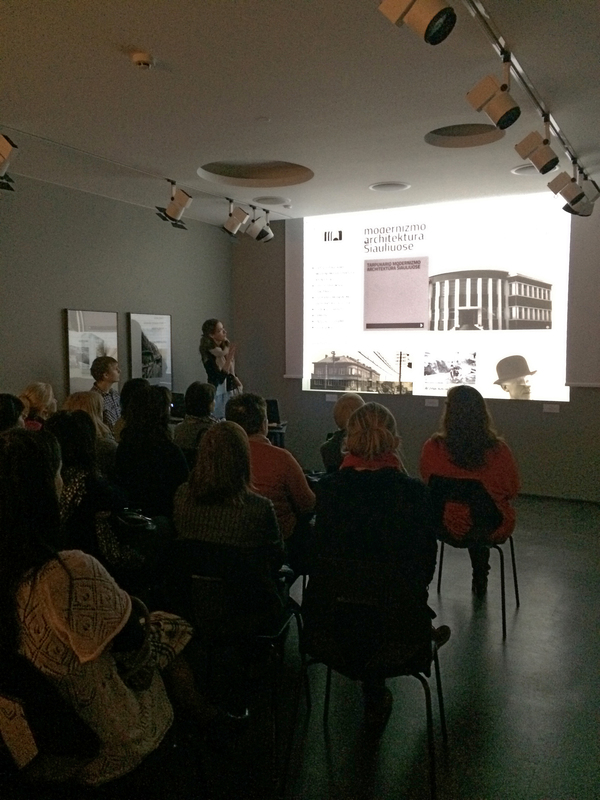 On the 31st of March 2015, some of the creative tools that have been developed in the framework of the Athena Plus project were presented to teachers and educators in the Photography Museum, Lithuania. The presentation was held by one of the Athena Plus project partners – the Siauliai Ausros Museum (Lithuania). Twenty teachers from different schools in Siauliai city have participated in a free seminar. All of them were interested in how to adapt the „MOVIO“ and „Plan Your own school trip“ tools to their educational needs and processes. The functionalities of the MOVIO tool were presented by the help of a digital sample exhibition „The modernist architecture of Siauliai in 1930’s“. The digital exhibition arranged by Siauliai “Ausros” museum introduces the modernist architecture objects built during the interwar period in Siauliai and tells the stories of their architects and owners. The teachers very much appreciated the opportunities the MOVIO tool offers: presenting educational material in a more attractive, user-friendly and up-to-date way. The main features of the „Plan Your own school trip“-tool were shown and explained to seminar participants afterwards . Teachers from three different schools expressed the desire to test the tool with their students during a school trip.